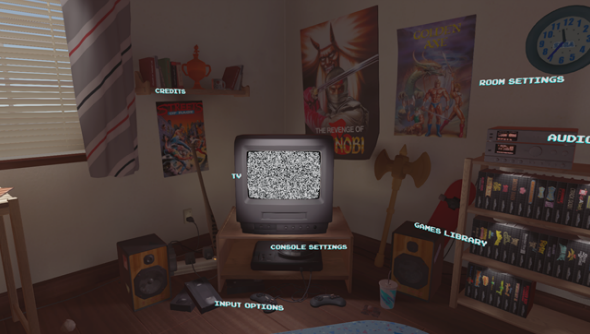 Sega, purveyors of your childhood hopes, dreams and memories, have constructed a virtual bedroom from which to play all your Steam-bought classics from the Mega Drive era. Sales not good enough? Here’s the best free PC games to keep you going then. The hub, launching on Steam April 28, will keep all of your Mega Drive games bought through Steam in a shelf in a room closely resembling your mid-90s cocoon. Sadly it’s not in VR, though maybe some talented Workshoppers can attempt to fix that. Featured amid the Sega paraphernalia scattered around the room is a CRT television to play the games on, if you so choose, as well as an authentic day and night cycle! But we all know those curtains were kept firmly shut to keep the light out of your eyes. The real meat of Sega’s Steam update, though, is that Workshop support has been added to every single Mega Drive game currently available on the platform, and to celebrate there’ll a whopping 66% off the entire collection once the hub launches. So expect to see some modified versions of your favourites spewing forth from the internet’s creative corners any day now. Though if anyone can top Sonic Dream Collections we’ll eat our collective Ren and Stimpy snapbacks.